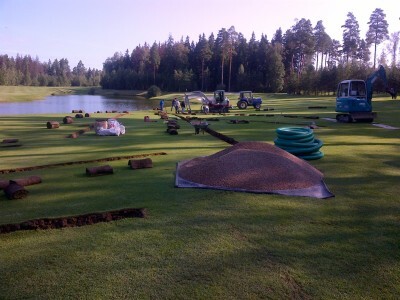 The company can offer services for an extensive redesign of the course or for less disruptive and smaller remodels of one green, tees or bunkers. 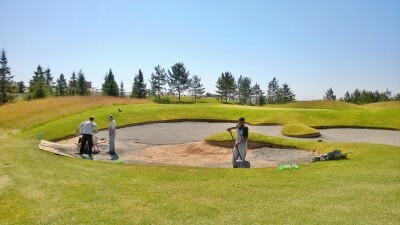 Working with experienced contractors and consultants the company will assist at every step until the opening for play. Bunker design and shape is personal and each consultant has a preferred look. However bunkers must be placed for playing strategy, aesthetic appeal and to enhance the visual shaping of each golf hole. The external form is as important as the internal shape and drainage is a key part of the design. New liners are adding benefits to maintenance and presenation. As opportunities arise the company can assist clubs and managers with assessing drainage and upgrading ditches and watercourses. These features can be an important part of the playing strategy and whenenhanced can improve the presentation and appeal of the course.